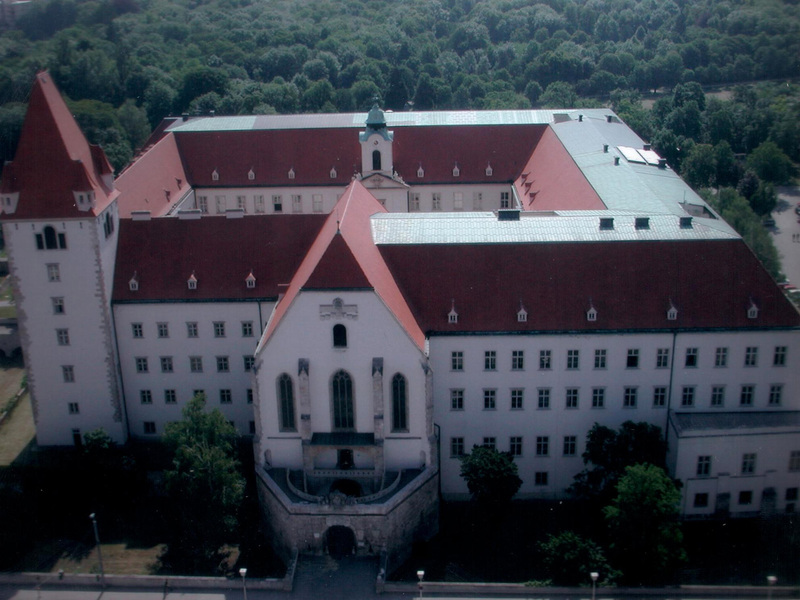 Aerial view of the Academy. Founded in 1751 by Maria Theresia as a "cadet school" with the intent of providing an excellent military education to the most able young men, the Theresan Military Academy remains a world leading institution to this day. The combination of a heart of tradition with modern education on a college level is mainly responsible for the internationally recognised high level of qualification of Austrian officers. Since 1998, the officer cadet course is an officially recognised college course. One of the larger changes during the course of the reform preceding this arrangement was the opening of the academy to civilian students, with the intention of providing them with the skills necessary for hands-on management in fields such as disaster relief organisations. In order to be granted a place at the course, a prospective student will have to be qualified for higher education entrance in Austria - in most cases this means being in possession of an Austrian high school diploma - and pass a series of entry exams. 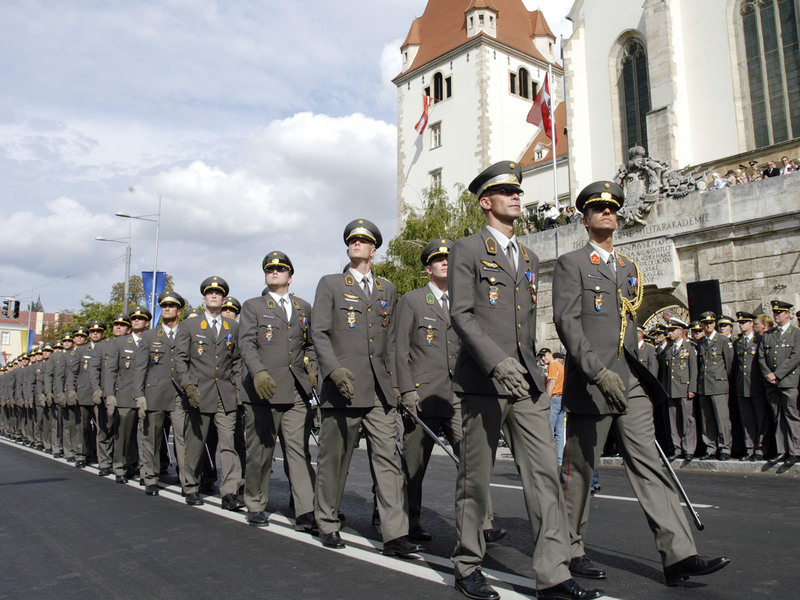 A military applicant aiming to pursue a career as an officer in the Austrian Armed Forces will additionally need to have completed a preparation semester during the course of a one-year voluntary service or already be an NCO. Newly commissioned Lieutenants at their graduation parade. The Military Leadership course focuses on communication, teamwork and organisational skills as well as problem analysis and autonomous development of solution methodologies. This provides the academy's students with a funded background in leadership and crisis management and qualifies them as expert managers in both a military and civilian context. Upon completion of the course, the students graduate with the rank of Lieutenant and a degree in Bachelor of Arts in Military Leadership. While civilian students receive the same degree as military students, they do not receive a military rank.